A New Year resolution is one of the first things that play on a person’s mind as soon as Christmas is done and we wait in joyful hope for the coming New Year. With the ‘New Year, New Me’ motto, everybody looks forward to working out, exercising and following a healthy lifestyle to mark the beginning of a new phase of life. And what better way to do it than enrolling in a good gym with helpful fitness trainers, good equipment and located in the proximity of your area. One such name in the world of fitness clubs is Planet fitness. Planet Fitness is an American franchise of high profile fitness centers. The primary base is located in Newington, New Hampshire in United States. It is managed by The Chief Executive Officer, Chris Rondeau and has more than one thousand clubs. Michael Grondahl and Marc Grondahl are the founders of Planet Fitness. Given here are all the details you need to know like Planet fitness hours, timings and membership details. With New Year’s just around the corner, it is raining discounts and offers in stores and Planet Fitness is no different. The popular fitness club is currently offering a deal on fitness hats for only $7.98 as opposed to the regular fee of $10, which means a good 20.17% off. The offer however, is available online and only in select stores. This year’s hat is a vibrant purple and yellow with LED lights around the top brim. Planet Fitness takes exercising and working out a step further as compared to regular clubs. There are two types of memberships to choose from and no matter which you choose, every member gets access to some fun activities that takes place in-house, like Pizza Mondays and Bagel Tuesdays. Out of the two types of memberships available, one is for $10 per month and the second for $19.99 per month. The first type includes a T-shirt, unlimited access to the in-house club and unlimited access to fitness training. The latter covers all three along with several more add-on’s like use of all PF Franchise locations, use of tanning, massage chairs, half price for cooler drinks, hydro massage, haircuts, body enhancements, 20% off Reebok products, 10% off at PF stores and many others. Planet Fitness is open around the clock from Monday to Friday i.e. from 12 am to 9 pm and from 7 am to 9 pm on Saturday and Sunday. The website also features special upcoming training classes, workout schedules etc. so you can get a note of the timings as required. Planet Fitness was closed for Christmas Eve and Christmas day and re-opened on 26th as per regular timings. It shall however be closed post 7 pm on New Year’s Day. 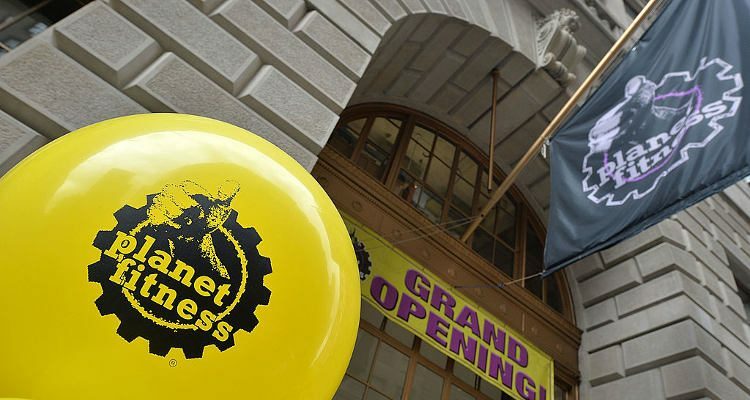 Planet Fitness also has an online store which sells T-shirts, key chains, water bottles, locks, workout outfits for men and women, towels, accessories, bags and many more, which can be purchase online. With a swanky year coming up, get ready for a New Year fitness plan with PF! http://www.planetfitness.com/, last accessed December 26, 2016.
http://www.planetfitness.com/gyms/renton-wa-578, last accessed December 26, 2016.